Paul Atreides is just fifteen years old, and small for his age besides, but he’s not to be dismissed. Paul is bright, well trained, and the heir of House Atreides. Paul’s father, Duke Leto, is an exceptional leader who commands the loyalty of his subjects with ease, thus earning him the respect of his noble peers. Consequently, the Emperor has assigned Leto a new task: control of Arrakis, or “Dune,” a desert planet that is home to the “spice,” a substance that allows for many things, including interstellar travel. The only thing standing in his way is House Harkonnen, hastily characterized as a family of red-haired, pouty-lipped, extremely cunning sadists. Frank Herbert’s Dune is now considered a masterpiece of science fiction, but if its setting were only slightly altered, it would be universally considered a monumental work of fantasy. It certainly offers everything a reader of fantasy could ask for, from world building to dueling to political intrigue. There is much to be applauded in Dune, but my favorite part of the novel may be Paul’s relationship with his tutors and mentors. Paul has many mentors, and it is difficult to choose a favorite. Gurney Halleck, a troubadour swordsman, helps Paul to learn that there is no time for mood in weapons training. Meanwhile, Thufir Hawet teaches Paul to always sit so that he can see all entrances. The universe that Paul lives in is cutthroat, to say the least. Even Paul’s greatest mentor, his mother Lady Jessica, repeatedly requires Paul to take tests that involve great pain and great risk. Although Herbert’s empire is aristocratic and decadent, it is very much a culture in recovery. This is a universe in which humans once relied on machines to do their thinking and were nearly destroyed because of it. Now, they rely on the human brain to do everything, and they readily take drugs like the spice to enable their minds for unusual tasks like seeing into the past through one’s ancestors. The Bene Gesserit is a community of women (“witches,” to their detractors) that manipulates politics through their unorthodox breeding program. Paul may be the omniscient end product of the Bene Gesserit’s manipulations, but he will have to endure many challenges before his status can be confirmed. Fortunately, Dune is the perfect place for difficult tests. It is a harsh planet filled with sandstorms, caves, and gigantic sandworms. Indeed, only the spice, the most precious resource in the galaxy, could lead people to live here. The Fremen, who live in the desert, lead a hard life governed by hard rules. Their way of life is driven by the desperation of the desert, which Leto, Jessica, and Paul all recognize produces fierce warriors — warriors that would make for powerful allies. And because Fremen culture has been manipulated by the Bene Gesserit, the Fremen will be easily led — so long as Paul manages to fulfill a series of carefully prepared prophecies. Today, Dune remains a classic work, and it can be approached from many perspectives. Readers can follow Paul’s rise to power as a coming-of-age story. The conflict between the Harkonnens and House Atreides feels suspiciously similar to an epic fantasy driven by a quest for revenge. The ecological determinism that Herbert describes might now be considered ahead of its time, as is its exploration of the nature of leadership. Herbert alludes to Arab culture, a variety of religions, and the politics of empire — all of which provide interesting paths for the reader. And of course Dune can be read as an action-adventure in which marauding Fremen armed with knives made from teeth ride sandworms across the desert to punish cruel villains. Many classics are better enjoyed if readers can cultivate a specific taste. After all, the concerns (and prose) of the past do not always translate well for contemporary readers, and predictions about the future often seem ludicrous even ten years after original publication. Fortunately, Dune is an easily read work whose conflicts certainly remain fascinating today. Regardless of why or how, Dune is a must-read for all SFF fans. Dune is one of my favorite books of all time. When I think “epic,” I think “Dune.” The audiobook version is amazing. As Ryan says, it is a must-read. It’s been a good 20 years since I’ve read Dune. I’ve been introducing my 10-year old to science fiction and thought I’d see if he was ready for Herbert’s classic. I’d forgotten the intensity of the story-telling. Herbert’s language is big and bold and you get a sense of the poetry his son writes that Frank H. used when crafting this SciFi classic. There is no levity in the story. All aspects of the plot are deep and weighty and dramatic. I found myself realizing how the core plot can be found in many an epic tale — Kings and Queens battling over power and treasure. The setting is science fiction, but there’s a significant fantasy component baked into the prophetic and magical powers of the two lead characters: Paul and his mother Jessica. This story is placed in a space-traveling future on a planet called Dune… as desolate, dry and remote as the name sounds. The Atreides family is in a generations-long battle with the Harkonnen family. Both are embroiled in the treacherous manipulations of the Imperial Emperor, the all-female religion-building Bene Gesserit, and the space traveling monopoly holding Guild. Herbert has built an imaginative, vast and realistic Universe. It’s clear from this debut novel in a series whose publications stretch over 40 years, that Herbert put a tremendous amount of thought and effort into layering on the flesh of his world’s history, past, and future. And all aspects are based in bits and pieces of our own histories, religions and cultures. And this doesn’t even cover the very clear and obvious ecological message wrapped around the true central figure of the book — Planet Dune. The metaphysical philosophizing works well within the royal dramas and intrigues. Stay away from the movies, but absolutely jump (back) into this book. At about 500 pages, it’s still a fast and exciting read. What more can be said about Frank Herbert’s 1965 masterpiece? This massive epic of political intrigue, messianic heroes, vile villains, invincible desert fighters, telepathic witches, sandworms and spice, and guild pilots who fold space, has a relentless action-packed narrative that still has ample room for beautiful descriptive passages and copious philosophizing on the mythology of the messiah/savior. In short, Dune is a perfect SF novel that both entertains and engages the mind, a book frequently cited as the greatest single work of imagination produced in the genre, rivaled only by J.R.R. Tolkien’s The Lord of the Rings. And yet the book had a troubled birth, being rejected by over twenty publishers before being accepted by Chilton Books, better known for publishing repair manuals. How could a book later considered a masterpiece be so roundly rejected? The answer lies in the status and expectations of the genre in the 1960s. At the time, SF was still mainly known for its most famous practitioners, Robert Heinlein, Arthur C. Clarke, and Isaac Asimov, who represented an older Golden Age of SF, focused mainly on science, technology, and space adventure. 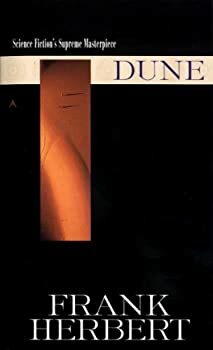 Dune was a completely new creature, far ahead of its time with its emphasis on a baroque far-future universe dominated by competing Great Houses bound to an Emperor, a guild of space pilots, the matriarchal Bene Gesserit witches, genetically-modified humans called Mentats who served as computing devices, and the complexities of a galactic economy dependent for commerce on a substance known as the “spice” mélange, which extended health and lifespan, expanded consciousness and, most importantly, allowed the guild pilots to fold space and connect the disparate planets of the Empire. Frank Herbert was very interested in Middle Eastern cultures and Eastern religions like Zen Buddhism, as well as in desert ecologies and the preciousness of water. Weaving this massive and complex group of themes into a coherent, exciting, and moving narrative following the fate of messiah Paul Atreides, later known Muad’Dib, was a feat that few authors have ever achieved since, including Herbert himself. 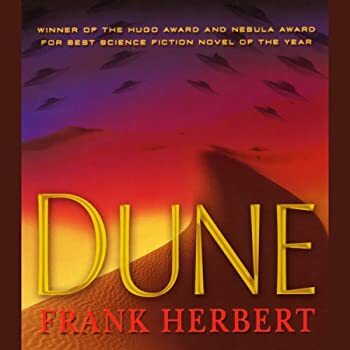 In fact, Dune spawned five sequels directly written by Frank Herbert, and then over 10 books that fill in the numerous details of his universe, written by his son Brian Herbert and by Kevin J. Anderson, who seems to specialize in co-authoring various series such as Star Wars, X-files, and all kinds of novelizations. Most recently, Anderson’s book The Dark Between the Stars was a 2014 Hugo Award nominee. I actually read the five sequels written by Herbert back in high school, and it was a punishing experience, as the first two books (Dune Messiah and Children of Dune) deliberately debunked the messiah mythology established in Dune, showing how the Fremen used Paul Atreides’ status as messiah to wage a destructive jihad across the universe. It’s interesting to hear comments that Herbert intended all along to show what happens when the masses believe in a messiah, and how they participate in the process of creating one. His view is actually quite skeptical, but since Dune is about the rise of the messiah, it benefited from the positive early stage of Paul’s story arc. However, his follow-ups quickly lost reader popularity. I guess it should come as no surprise that we prefer to be swept along with the rise of a messianic superbeing, rather than observe the messy aftermath of his rise to power, with various political and religious divisions complicating the world after he takes over. Herbert wanted to explore these themes in great detail, but they were certainly much less commercially appealing that Dune. I found the next three books (God Emperor of Dune, Heretics of Dune, Chapterhouse Dune) more interesting than the first two sequels, but also very complicated and hard to enjoy. Herbert wrote quite a number of other SF novels outside the Dune universe, but he will always be known best for Dune, to the exclusion of his other works, and this must have weighed heavily on him as a writer. The story itself focuses on two feuding families, House Atreides and House Harkonnen. The latter has been in charge of administering the production of Spice on Arrakis, but as House Atreides has gained in power, the Padishah Emperor Shaddam IV decided to place the Atreides in charge of Arrakis, with the intention of drawing them into conflict with the Harkonnens and keeping both in check. House Atreides is led by Duke Leto Atreides, his concubine the Bene Gesserit Lady Jessica, and Leto and Jessica’s son Paul, who is part of a secret breeding program to create a Kwisatz Haderach, a male messiah with incredible mental powers who will lead the Bene Gesserit and humanity to greater heights. The levels of intrigue and complexity are staggering, and though a description cannot do it proper justice, Herbert’s complete dedication to his creation recalls the massive world-building achieved by Tolkien in Middle Earth. Despite all the alien concepts, politics, intrigues, warring groups, desert warriors, and mish-mash of Zen Buddism, Islamic and Christian mythology about messiahs and jihads, and the complex economic and ecological implications of the sandworms and spice, the reader is completely drawn into this world and believes in it. It is truly an amazing achievement, recalling how fans embraced George Lucas’ Star Wars universe, but so much more complex, dark, and mature in its themes. As this was the first time I had revisited Dune since high school, I decided to get the ensemble-cast audiobook version. It’s complete with sounds effects like the sound of desert winds blowing and ominous music, and these are carefully done so as not to detract from the narration. A note on the narration, however: the books starts out with a full cast of voice actors, but then switches to a single narrator (Simon Vance?) midway, with a few scattered scenes with the full cast. It’s a bit disorienting, especially as the voice of Baron Harkonnen switches from a simpering evil character to a deep-voiced and powerful voice akin to Michael Clarke Duncan. It would have been better to have kept the full cast for the entire book, but for some reason it got a bit jumbled. Still, it’s an excellent audiobook production. JASON GOLOMB, on our staff from September 2015 to November 2018, graduated with a degree in Communications from Boston University in 1992, and an M.B.A. from Marymount University in 2005. His passion for ice hockey led to jobs in minor league hockey in Baltimore and Fort Worth, before he returned to his home in the D.C. metro area where he worked for America Online. His next step was National Geographic, which led to an obsession with all things Inca, Aztec and Ancient Rome. But his first loves remain SciFi and Horror, balanced with a healthy dose of Historical Fiction. I reread Dune about ten years ago and made the mental switch then to considering it fantasy. I don’t think the ecology of Arakis worked; but I didn’t care because it was such an amazing idea. I agree with you that it is a must-read. I shouldn’t say “didn’t work.” It worked great dramatically. It doesn’t hold up terribly well scienfitically. Man, I so want to read Dune but every time I try I get distracted. It’s an amazing book (from what I’ve read) and I really, really want to read it. Any suggestions anyone (other than having myself tied to a chair or trying it on audio)? I’d try it on audio. Raymond, if you do better with audio, that’s a great format. I have listened to the audiobook version — it’s really good. It took me two attempts to finish Dune and I really did want to like it more (In fact, I even bought the first 3 books all at once, and I think I read the 2nd one too). There’s no denying Mr. Herbert is an awesome world-builder and Dune is a very original story, even more so for the time it was written. But for me it just seemed too melodramatic and I never warmed to Paul Atreides. That said, Ryan’s review is excellent! It helped me to understand the book’s mass appeal and even made me reconsider my opinion. @Marion. I don’t find it difficult to accept the idea of a desert planet with polar caps. It sounds similar to Mars, for one thing. On the other hand, I’m not sure that Dune could support such a large Fremen population. @Raymond. I advise you to watch Frank Herbert’s Dune. The cast is excellent and I remember the effects being very good. @Greg. “Ryan’s review is excellent.” That’s just how I roll, Greg. You do need to give Dune another shot. I think you’ll like it. One of my all time favorites. I saw Dune in theaters when it came out and decided that as long as I took it as cinematic vignettes from the book it was visually stunning. Sarah, I really think it’s almost impossible for any film or mini-series to do full justice to the intricacies of Dune, but I did think Lynch made a valiant if flawed effort. Bill, this book certainly seems to be a book that fans return to again and again, and I fully expect it will remain one of the best in the genre for decades to come. Thanks for the background on the book! Interesting stuff. Herbert took a classic fantasy trope — A Prince Loses His Throne — added monsters and witches and created an SF classic. That’s imagination. Even though I’ve only read Dune once, several years ago, I come back to it in my mind pretty often. I think it’s not my favorite book because it’s not the “type” of writing or other-world that I naturally gravitate towards (being a big sloppy fan of twisted woods and fairy tale themes) but I can see how ground-breaking it was, and how influential it still is. He managed to fit a lot of important stuff into that book, I must say. Definitely one of my favorites, one of the few books I reread from time to time. Thanks Stuart. Loved DUNE. But for classic SF, it’s Pohl’s GATEWAY I return to for re-reads. (It’s shorter, and more fun.) Reading GATEWAY in the 70’s blew me away because no one blinked about having gay crew mates. Turned my world upside down! GATEWAY is simply awesome. This reminds me that I need to reread it. Glad to see that Dune remains a favorite of so many readers! It’s one of the few books that seems almost universally loved, no matter what peoples’ normal genre preferences are. As for Gateway, I was just gearing up to re-read that one in the next few months as I’ve been finishing up the 1960s SF classics (Dune, 2001, Do Androids Dream of Electric Sheep, etc), am heading into a Silverberg fest (Downward to the Earth, Nightwings, Dying Inside, A Time of Changes, Tower of Glass, Up the Line), then Strugatsky’s Roadside Picnic, Niven’s Ringworld, LeGuin’s The Dispossessed, Wilhelm’s Where Late the Sweet Birds Sang, McIntyre’s Dreamsnake, and Pohl’s Gateway and Man Plus. I’ve heard mixed reviews of Man Plus, but I’m eager to read it and find out. Speaking of Gateway, the Syfy channel has put an adaptation in development. I’ll be interested to see if it makes it through the process. Cool, a film adaptation of Gateway could be interesting. Incidentally, what did you think of the three Heechee sequels? Did they spoil the mysteries like the 2001 sequels? “Spoil” the mysteries? I don’t remember them that well (which might answer your question about how good they were) but I do think we do see a Heechee in one of them. I think there are still big “sense of wonder” questions left at the end. I enjoyed them, as I recall, but they didn’t stay with me the way GATEWAY did. Marion, I read the three Heechee sequels and remember liking them, but I can’t remember a single detail now. To be fair, I don’t remember many plot details of Gateway either, which means it’s high time to reread it! However, if one looks at what was actually being published and receiving acclaim within the SF genre from 1960 thru 1966 (the year Dune won the Hugo – TIED, I might add with Zelazny’s This Immortal), one has to come to the conclusion that Dune (and it’s earluer incarnation from Analog that did not win the Hugo) is, in the greater scheme of things, nothing special. I’ve read the book – probably more than 20 times (along with FH sequels far fewer times) and, rather than finding it some special, unique work of SF, find it to be an excellent example of the kind of exploratory, verging-on-new-wave works that were beginning to invade the field. Steve, you raise an excellent point and I concede that there were already a number of innovative New Wave books entering the field from the early 1960s, as shown by the titles you’ve listed, especially works by Vonnegut (though he has always disavowed association with SF), Zelazny, Sturgeon, and PDK. I wouldn’t classify Heinlein as New Wave exactly, but certainly he was trying to pander to a new audience with Stranger in a Strange Land. However, and this is a big caveat, there’s not a single book in that list that matches the depth, complexity, and sheer scope of ideas that Herbert presented in Dune. You’ve read it 20 times, so you know better than anyone how impressive this book is. Is there any other SF book written in that decade that continues to have as many adherents both inside and outside the genre? I would think that Dune has outsold all those books combined, and spawned a host of books and films as well. It has certainly captured peoples’ attention for some reason. So I can’t agree that Dune is “in the greater scheme of things, nothing special.” If you have an alternative suggestion for a more influential stand-alone SF novel, I’m all ears. I’m glad to hear differing opinions and you’re right that New Wave books were already emerging from the early 1960s, but I still believe nothing has topped this book since, although many writers have taken inspiration from it and produced amazing books of their own. Drat! I sent my comment into oblivion before I could submit it. I read DUNE when I was in high school. It had already been out for a few years. I was big on the new Earth Day thing, and we were experiencing our first “gas crisis,” (even-odd, etc — some of you will know what that meant). My friends and I were all captivated by the concept of the unequal allocation of resources. It made us think. And many of us appreciated Lady Jessica, who stood out as a strong woman and not just another swooning “concubine” or second banana assistant saying, “Yes, doctor,” or “Yes, Captain” all the time. Frank Herbert worked for the local daily paper where I grew up and I saw him at science fiction conventions here in town. His financial problems were well known and none of us “locals” thought the first set of sequels were anything but a commercial decision on his part. His other work has never really spoken to me, but DUNE did resonate. I don’t think it’s great art — I do think it’s special. Stuart, I edited your review while it was in the pipeline, and I’ve been meaning to tell you what a fantastic review you’ve written here. Really excellent work! Dune is also in my top 5 SF books, no question. I read Dune a couple of times when I was a teen and in my twenties, but it’s been a long time and I think I’m also due for a reread of it. Thanks, Tadiana, I put a lot of time into this review because the book has been so influential in so many different media formats. So your comments are much appreciated. And yes, it certainly is worthy of a re-read anytime.